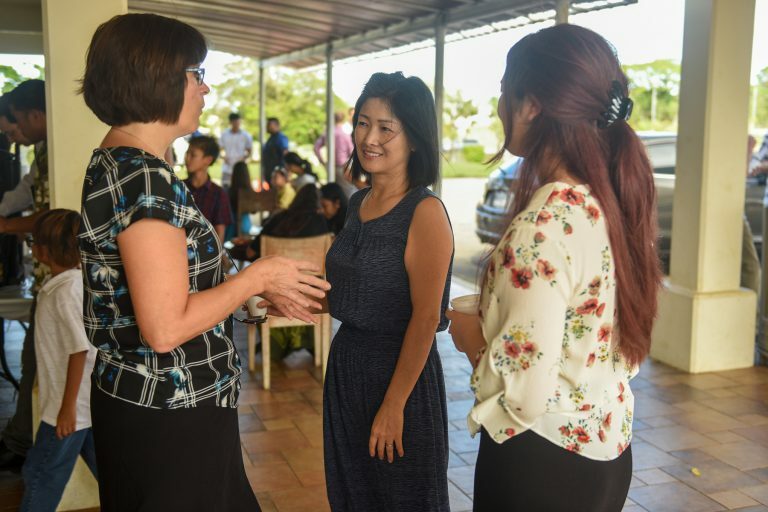 While Sunday services at Harvest are perhaps the centerpiece of our ministry events schedule, there are other things taking place every day on our campus. These events are not scheduled because we believe programs are the answer. Our mission is to help people develop a heart for God. Therefore, these activities are primarily focused on pointing people to Jesus Christ and His Word, as we grow together as a family in Him. See what ministry opportunities are available for you and your family. 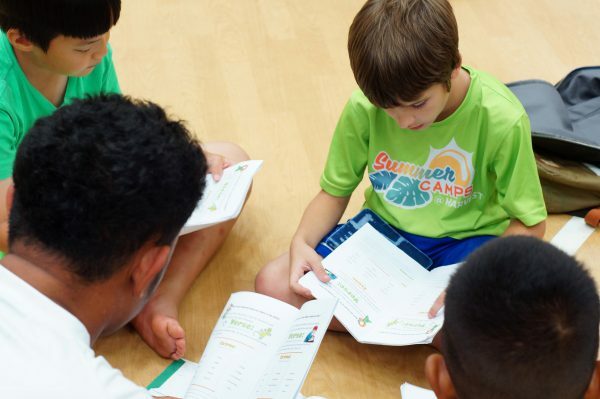 We walk through the scriptures with a three-year, age-appropriate curriculum. The C2C program meets in our Family Life Center on Wednesday nights from 7:00-8:00 pm. We invite children from 2-5 years old and in 1st-6th grade to join us. On Sunday mornings, 1st through 4th graders meet in our Family Life Center. 5th and 6th graders meet in our music room, where they watch the streamed adult service as we help train them to take notes and follow along with the sermon. Contact Aaron Engelhardt, for further information on our Children 2 Christ program. Heart 4 Christ seeks to assist families in developing Christ-like teenagers. We work together for spiritual encouragement, evangelism, discipleship, and worship. 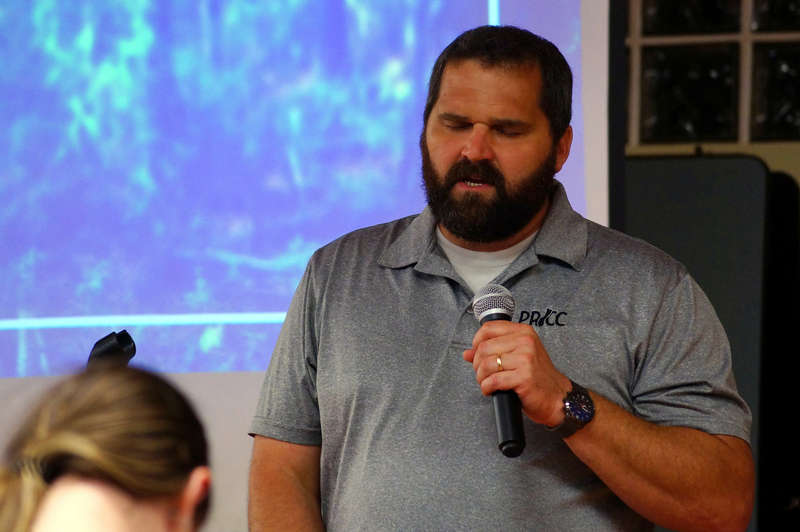 H4C meets Wednesday nights from 7:00 to 8:00 pm and on Sunday mornings from 9:30 to 10:15 am in the Fellowship Hall located in our Family Life Center. For details, please contact Pastor Ken Keith. Also, check out the H4C (H.E.A.R.T. 4 CHRIST) Facebook group, which features the latest pictures, updates, and event information. Adult Bible Fellowships exist to create an environment for the church body to learn God's Word in a deeper way. These groups of 20 – 30 people meet at 9:30 am at various locations across the Harvest Campus. The appointed leaders will help work through a book of the bible or specific topic to help believers grow in their walk with Christ. If you have further questions about the Adult Bible Fellowships, please contact Pastor Bryan Lenartz for further information. Harvest Ministries WatchCare program exists to create a setting of fellowship, encouragement, and organization within the church body. We achieve this by dividing everyone into various homes across the island. This also helps form stronger bonds between fellow believers. These meetings usually happen over a potluck style meal along with time in God’s Word. These groups meet every 6 weeks on Sundays with times that may vary according to the needs of the members. If you are interested in joining a WatchCare group, please contact Bryan Lenartz for further information. Family Academy exists to meet the needs of the community and establish eternal relationships. We give aid, which includes providing an ESL conversation partner, and offering parenting, marriage, and financial classes. These meetings take place every Wednesday at 7:00 pm on the Harvest Campus and are meant to be an encouragement to our guests; therefore, snacks and drinks are often provided free of charge. If you are interested in joining or have further questions, please contact Pastor Bryan Lenartz. 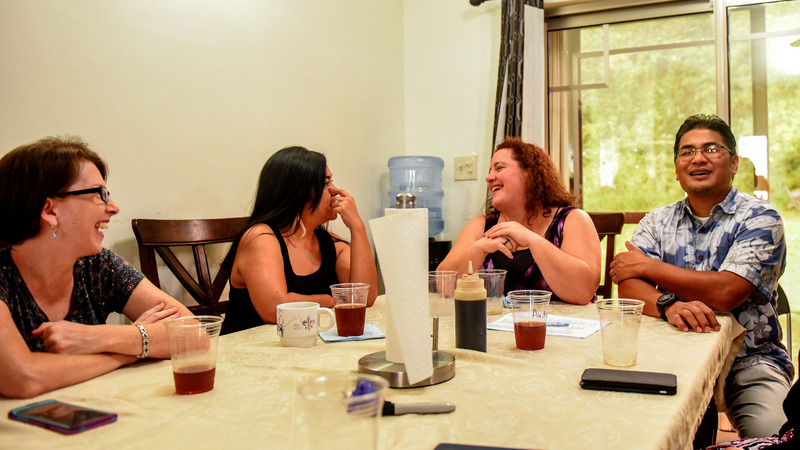 Single and unaccompanied military personnel get together for fellowship at our GI ministry events. The group meets for lunch in the Harvest cafeteria on the first Sunday of every month following the morning worship service. A fellowship, led by Pastor Leo Osborne, is also planned for the 3rd Saturday of the month. Food and a time of study in God's word are enjoyed at each event. 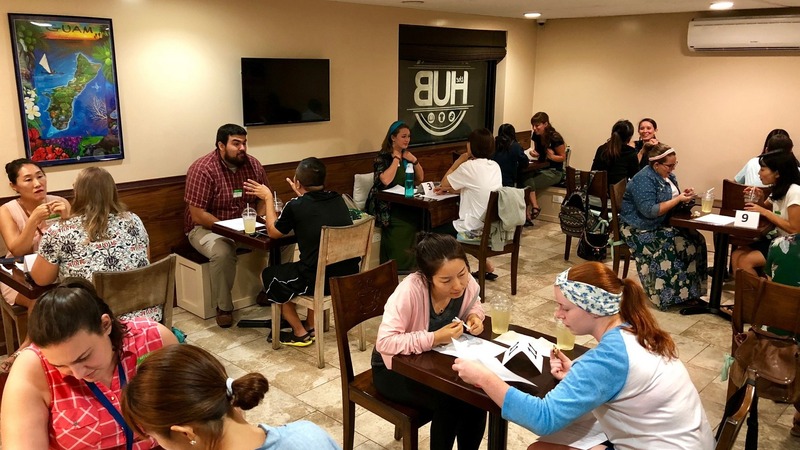 For our military families serving here on island, Pastor Leo Osborne also meets with them every first and third Friday of each month at 7pm at Big Navy. 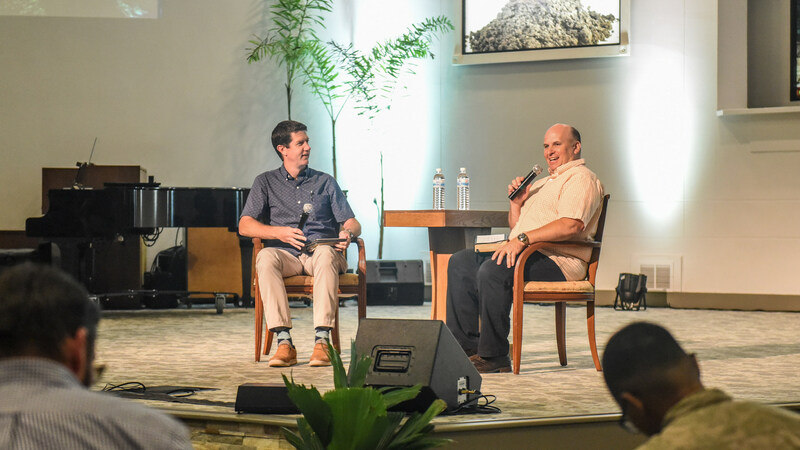 For more information on the GI Ministry gatherings, please contact Pastor Leo Osborne through our Contact page, email him directly at military.ministry@hbcguam.net, or call 671-688-3414.